Over the past two decades, Canadians have gotten to know Christine through the company’s numerous television and radio commercial spots. Now here’s your chance to meet Christine in real life. 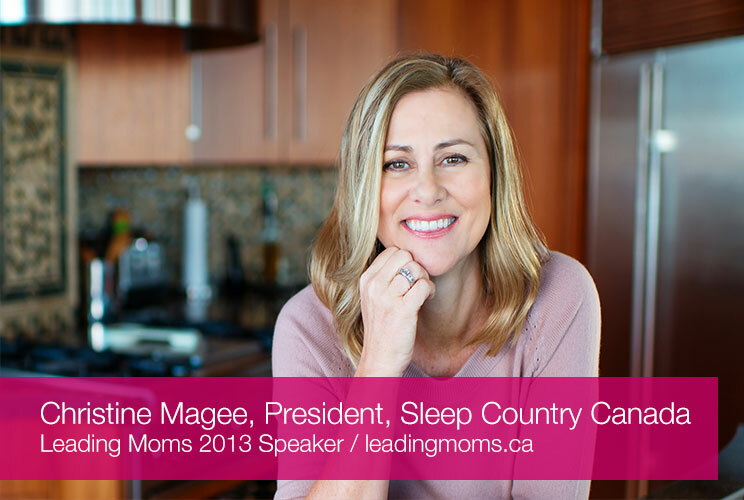 Christine, together with her co-founding partner Steve Gunn and their dedicated team of professional associates, built a company which has achieved dominance in each regional market it entered in Canada, establishing Sleep Country Canada as the #1 Mattress Retailer in Canada. Since opening four stores in British Columbia in 1994, Sleep Country has successfully grown to over 238 corporate-owned stores in 17 regional markets. As part of her strong philanthropic commitment to reaching out to communities, Christine has been asked on many occasions to speak to a diverse group of charities, schools, conferences and events such as Sleeping Children Around the World, Youth-In-Motion Women’s Health & Wellness conference, SMLS Career Carousel, Peterborough Women’s Business Network; to mention a few. She has also taken on an active role in mentoring students through her involvement with Ivey School of Business, 20 Under 20 and working with young professionals through Women’s Executive Network. Christine served as an Honorary Chairperson for the Hamilton YWCA, and was a proud member of the Selection Committee for YWCA – Women of influence in 2009 and in 2010. In addition to her charitable work, Christine is on the Toronto General & Western Hospital Foundation Board and on the Diabetes Campaign Committee. She is also an active member of the Women’s President Organization, as well as a member of the Advisory Council for the Ivey School of Business at the University of Western Ontario. Christine’s leadership and foresight has led her to be recognized and receive numerous awards over the years. Most recently on November 16, 2012, Christine was honoured with the Possibility Thinker Award by Futures Possibility for Kids in Toronto. Christine was recognized by the WXN as one of Canada’s Most Powerful Women: Top 100 Awards in 2007 in the Professional Category and in 2010 and 2011 in the Corporate Executives category. In 2010, Canadian Living named Christine one of 35 Canadian Women Who Made our Lives Better This Year. In 2006, Christine received an Honorary Doctorate of Commerce from Ryerson University, as well as the CIRAS Henry Singer Award for Exceptional Leadership in Retailing and Services from the University of Alberta School of Business. In 2005, Christine received the Laurier Outstanding Business Leader Award from Wilfrid Laurier University. Sleep Country Canada was also inducted into the Marketing Hall of Legends in 2005 and the Retail Council of Canada Hall of Fame in the same year. In 1998, Christine was named Ontario Entrepreneur of the Year, Retail/Wholesale by Ernst & Young. She was also recognized as one of Canada’s Top 40 Under 40 in 1997. Christine is a graduate of Western’s Ivey School of Business. She resides in the greater Toronto area with her husband and two children.